This modern musical version of Romeo and Juliet set in 1950s New York City promises exciting singing and dancing from our outstanding cast, amazing sets, costumes, and lights from our very talented crews, and much, much more. 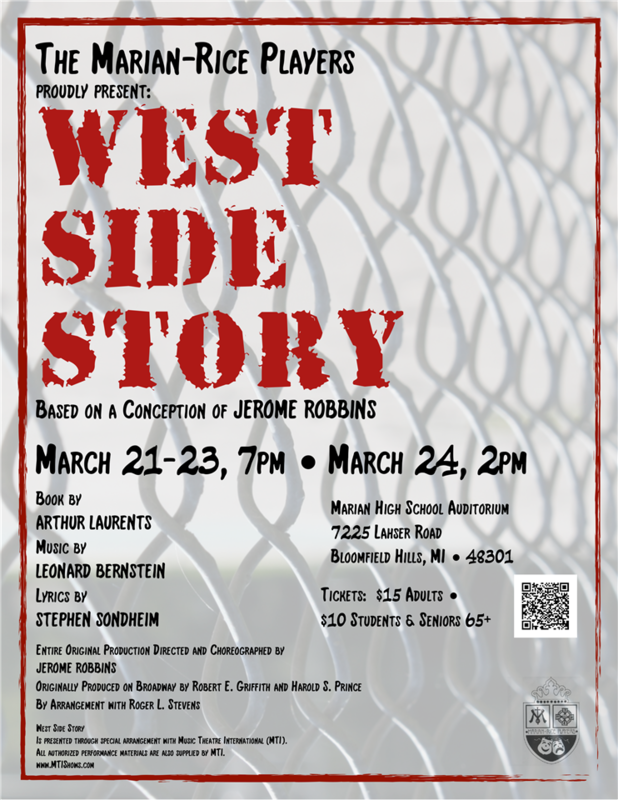 Performances will be held in the Marian auditorium on Thursday, March 21 through Saturday, March 23 at 7pm and Sunday, March 24 at 2pm. Tickets are only $15 for adults and $10 for children, students, and those 65 and older. Tickets on sale now at https://tinyurl.com/y6vugand and at the door based on availability. You don’t want to miss this!